A consultation will address concerns about the misuse of fireworks and the impact on public safety. 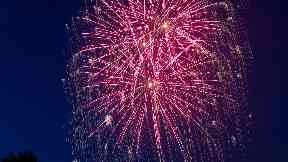 Views are being sought over the regulation of fireworks in Scotland, including whether to ban their sale to the public. A Scottish Government consultation, launched on Sunday, will focus on what steps can be taken to address concerns about the misuse of fireworks and the impact on public safety. Opinions will be gathered on a range of issues, including the sale of fireworks and what other measures could be adopted to ensure they are used safely and responsibly, before the consultation closes on May 13. Legislation on the sale and storage of fireworks is reserved to the UK Government, while laws covering their use is devolved. Having announced the consultation in November, community safety minister Ash Denham said responses will inform discussions about whether any changes to the legislation and regulation of fireworks in Scotland are needed. Ms Denham said: "From Hogmanay to summer festivals to Diwali and Bonfire Night, fireworks are a focal point of a range of celebrations through the year. "Most people enjoy fireworks responsibly but if used inappropriately or without respect for others they can cause great distress or even physical injury to people and to animals. "From conversations with members of the public and emergency service workers, I am aware of concern about the use and sale of fireworks to individuals. 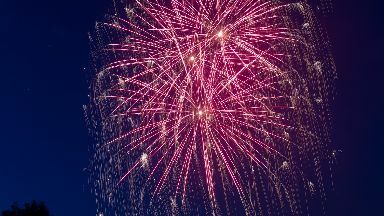 "We want to work with others to reduce the negative impact of fireworks and the public's voice is vital in shaping our approach going forward. "While much of existing legislation on the sale of fireworks is reserved to Westminster, we hope this consultation will identify any gaps in the law and highlight where the regulation of fireworks could be improved."